The Centre of Democracy was opened in May 2017 through a partnership led by the History Trust of South Australia with the State Library of South Australia. Its remit is to share the story of democracy in South Australian. We do this through a permanent exhibition in the Institute Building on North Terrace’s cultural precinct, as well as activities, programs, events, and online engagement. 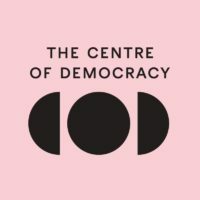 The Centre aims to allow for multiple voices to be heard and shared in a variety of ways. This is how we came to appoint a Poet in Residence. David Chapple, the Poet in Residence, had a goal to use the concept of democracy as inspiration for creating poetry and verse with a number groups in South Australia. 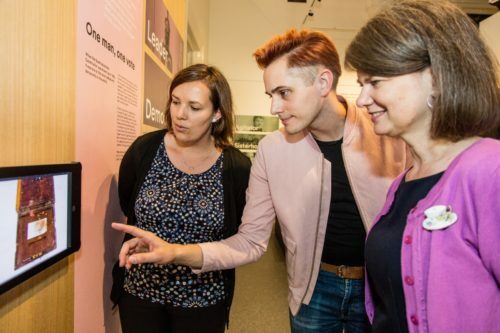 This involved drawing on participants understanding of democracy, what is presented in the Centre’s permanent exhibition, and an exploration of the work of well-known poets. Workshops happened in community centres and hubs, business rooms, meeting places, and at the Centre of Democracy’s exhibition space. The selection of poems featured in this booklet are the result of group-writing led by David. The Centre of Democracy and David Chapple would like to thank the following groups for participating in the project. Please enjoy the work created, and think about how you express your voice in our democracy.